Seun is using Smore newsletters to spread the word online. Young Leaders Network has intensified her activities this quarter under review at sensitizing the community on the subject of electioneering, effective youth participation in politics as well as their role in ensuring violence free election. Without argument, it is clear that the atmosphere is tensed due to the forth coming February’s election in Nigeria. Politicians are in the business of recruiting young people as political thugs to maneuver the electoral process. 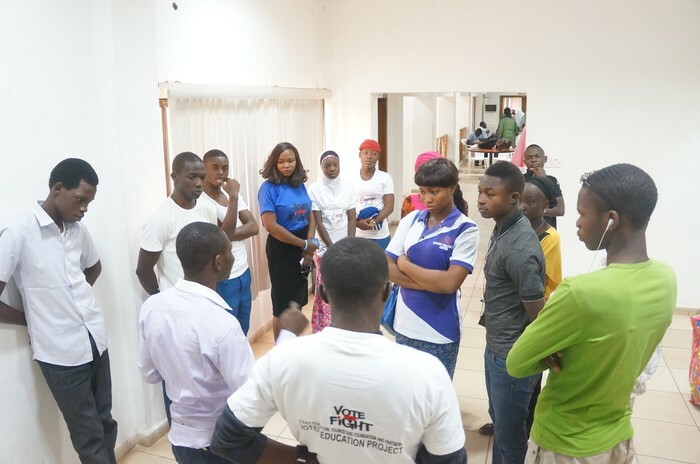 Coupled with the post election violence of 2011that took the lives of hundreds in Northern Nigeria, there arose the need to further sensitize the youth on effective participation in electoral process. 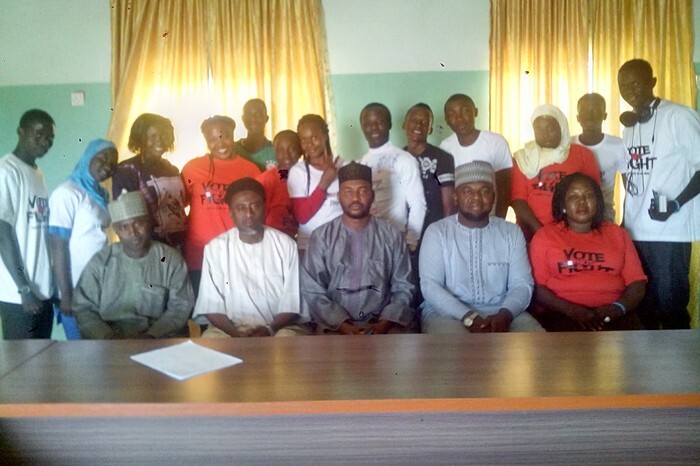 To further sensitize the populace with the adequate information on electoral matters, YLN held a sensitization workshop. 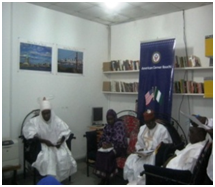 The four and half hour’s programme was held on 26th February, 2015 at American Corner, Bauchi hall. Topics of seminars included “Mandate protection” delivered by Comrade Abubakar Ahmed (Coordinator of Future Leaders Forum), “Violence Free-Election; the role of the youth” by Mr. Mathias Yake (Executive Officer of FACEPAM) and “Overview of Youth Participation in Governance” by Miss Mary Martins (M&E Officer of YMCA Bauchi). The programme which falls onto Marthin Luther King Jnr’s birthday also honoured the great Legend by watching a documentary titled “The Bridge to Freedom” a documentary on the Match to Freedom by Dr. Martin Luther King Jnr. courtesy of American Corner, Bauchi. 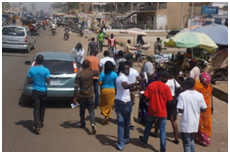 To further sensitize the populace on the need to ensure a violence free election in 2015, YLN conducted series of Violence-Free election campaign visits to various ministries, tertiary institutions and agencies. These were carried out in partneship with Leadtots and Human Development Services on the “Vote Not Fight” Project of Youngstars Development Initiative. 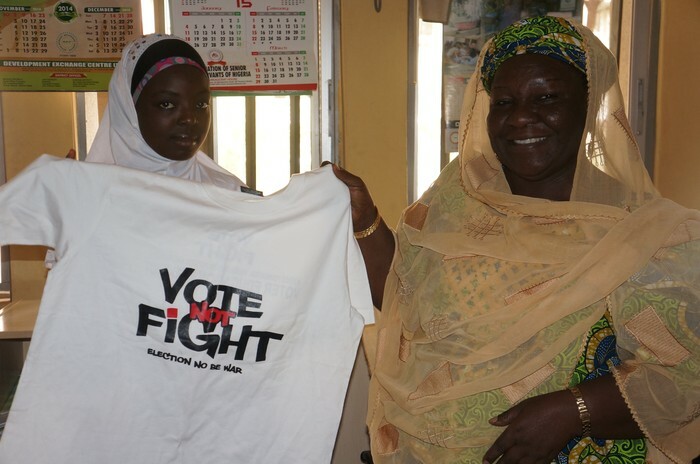 Young Leaders Network produced T-Shirts and hijabs carrying Information in Hausa, Arabic and English language relevant to the Network and the campaign to augment the “Vote Not Fight” T-Shirts produced by Youngstars Development Initiative. Some of the information imprinted on those T-Shirts were “muryata na da muhimmanci” “صوتي مهم” translated as “My Voice Matters” “Don’t be a quitter, Be a Voter!” “Give Peace a Chance!” “Matasa ne da Mafita ba Matsalar ba” translated as “Youth are the Solution, not the Problem!” “We All ...have the right to life!” among others. The campaign took the face of sensitization visits to some Government Agencies and Parastatal such as Ministry of Youth and Sport where the team met the ministry’s Director of Youth Development who signed the Pledge for a peaceful Nigeria. The team also visited the Ministry of Women Affairs where the Director, Children Welfare was inspired and endorsed the violence free campaign. 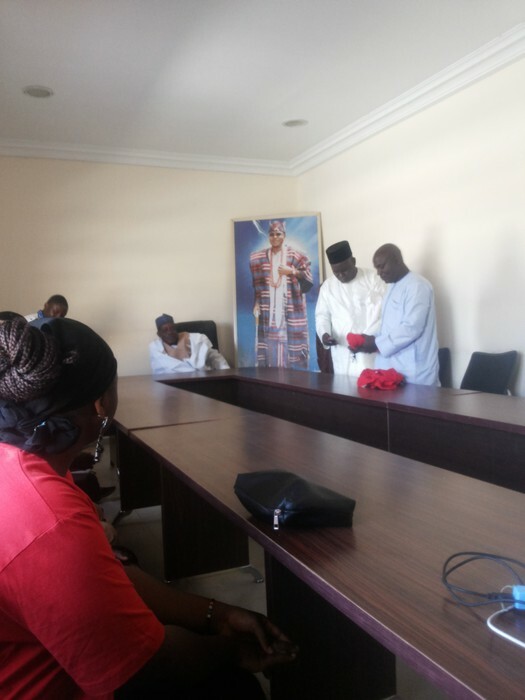 The team was also at the Ministry of Religion and Community Relations of Bauchi State who are indispensable stakeholder of the subject matter noting that all political violence in the State always carry the mark of religious or ethnic character. 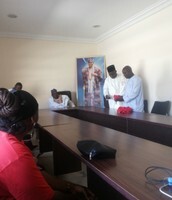 The Director was admonished to continue to preach the culture of peace and cultural tolerance to the religion and ethnic communities of the state. To seal his commitment, he signed the “Vote Not Fight” pledge form. 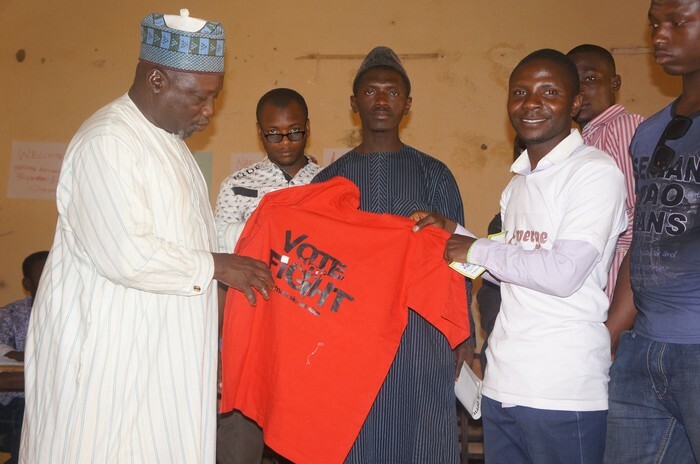 The team also distributed the “Voted Not Fight” T-Shirts to the heads of the Ministries visited who were also impressed to find young people volunteer to be part of violence –free election campaign rather than being instruments of political violence. 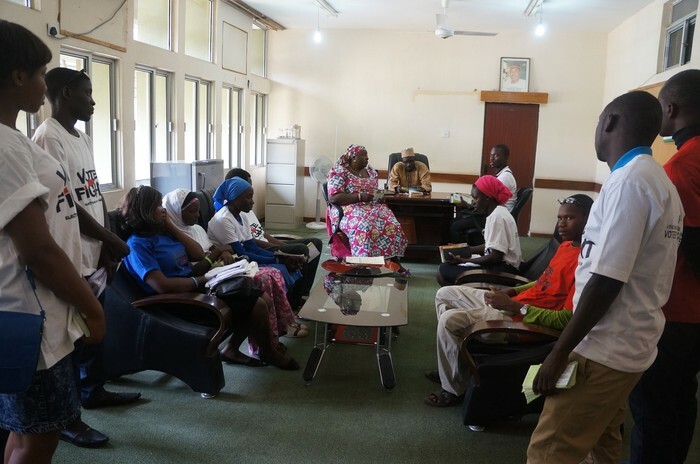 Cross view of YLN at the Ministry of Religion and Community Relations, Bauchi State. Young Leaders Network recognized youth as potential stakeholders in ensuring a violence free election. Thus paid visits to two tertiary institutions which include Bauchi State University, Gadau and Abubakar Tatari Ali Polytechnics, Bauchi. At Bauchi State University, Gadau, the team visited the Faculty of Social Sciences (Bauchi Campus) where the team met the Dean of the Faculty, with His Deputy and other Faculty Staff including the Student Union President. After advocating for the School to join the campaign against electoral violence, the Dean also encouraged the youth to engage in relevant venture to prevent idleness that prone them to political thurgery. Partnership talk was engaged with the Student Union Government (SUG) President were he pleaded with the Network to involve his fellow student leaders in Leadership building programmes. The host signed the “Vote Not Fight” pledge cards. Abubakar Tatari Ali Polytechnics (ATAP) is the only State owned Polytechnic. 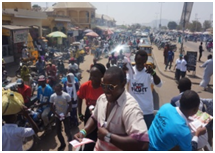 Violence Free election campaign was successful in this school as the team advocated to over hundred students through the Dean Student Affairs and the Student Union Government officials. The category of students met were new students resident in many Local Government Area in Bauchi and the neighbouring States. The Team met them on a one on one visits. The visit was not without itches as the team met resistance from some youth who have succumb to engage in political violence peradventure their candidate didn’t win. 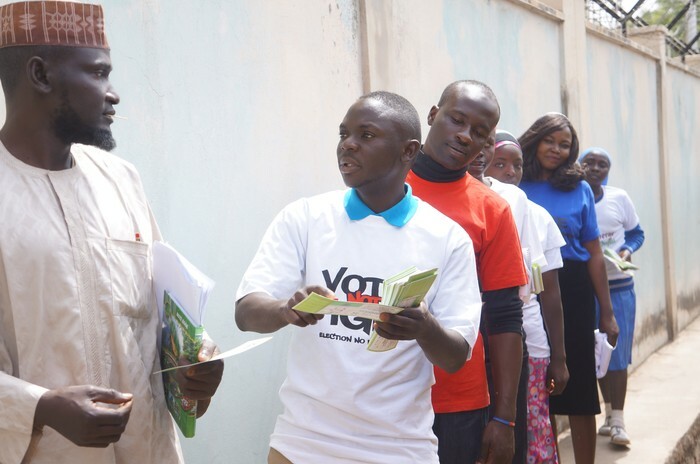 Some of the youths refused to sign the ”Vote Not Fight” pledge cards because they assumed it was a political weapon by political parties to steal or manipulate their voting rights. Crossview of students at Abubakar Tatari Ali Polytechnic, Bauchi. 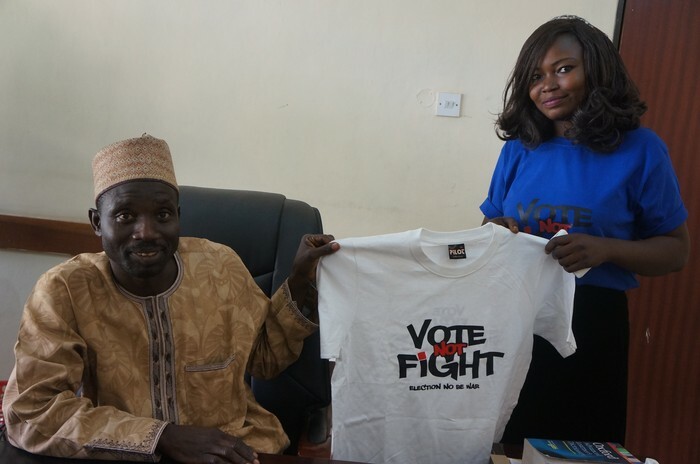 the Dean, Student Affairs of Abubakar Tatari Ali Polytechnic, receiving VoteNotFight campaign T-Shirt. 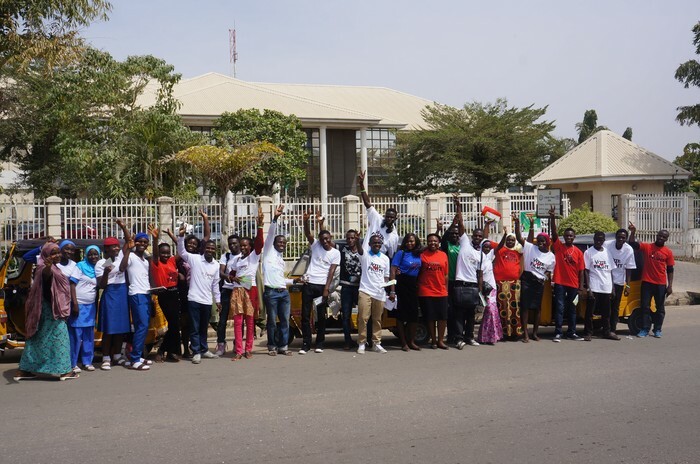 The Young Leaders Network was involved in the election rally on the 7th February 2015 organized by Actionaid Activista Nigeria which was aimed at stimulating youth interest in the 2015 elections and bring their issues to the fore, to promote youth participation in election, to encourage young people to set agenda for political parties and candidate and to promote the priority issues of young people. 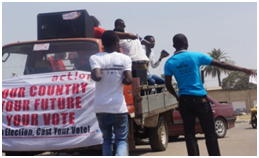 The rally which took place one week to the initial date of the elections had great impact in calling at the youth and the citizens to come out and exercise their franchise on the day of the elections. The rally covers vital areas like Wunti Market, Wunti Gate, Stadium and Re-insurance House in Bauchi Metropolises and has 16 member of the Young Leaders Network in Attendance. YLN Participated in Future Leaders Forum- Maiden Annual Public Lecture. 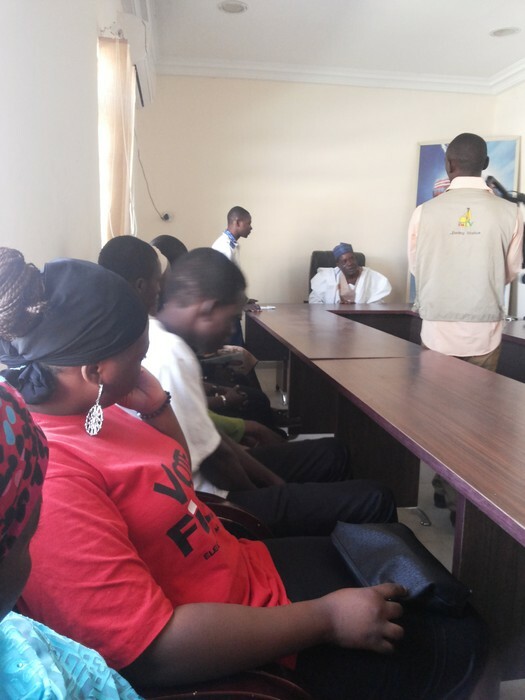 Future Leaders Forum (FLF), a new youth group in Bauchi with the call to hosting Focused group discussions between the youth and some outstanding personalities in Bauchi who are doing well and impacting lives in the community. 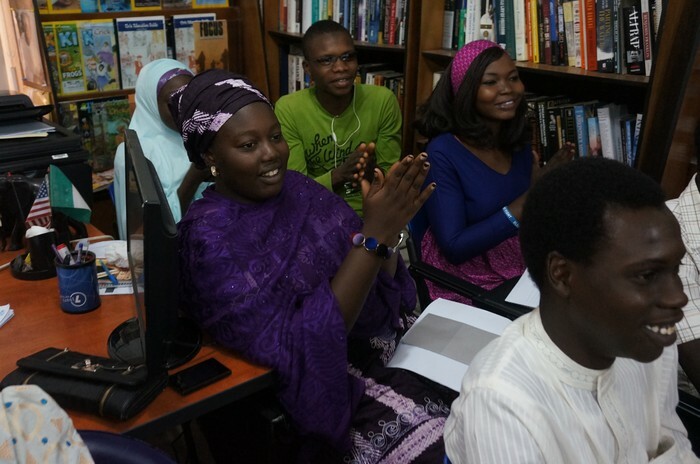 Young Leaders Network was fully part of the Maiden Annual Public Lecture organized by FLF on the 8th January 2015 at the Bauchi State Library Complex - American Corner. The public lecture’s topics include: “Fostering Peace through Proper Communication and Dialogue” by Alh Labaran Ibrahim (Lecturer with the Federal Polytechnics, Bauchi) and “Women in Peace and Conflict Situations” by Dr. (Mrs) Maimuna Y. Sadiq (Senior Lecture with Abubakar Tafawa Balewa University Bauchi). The Opening Charge was taken by one of the Royal Fathers in Dass Emirate Council; Alh Danladi Baban Takko (Falakin Dass) has some members of the YLN in attendance which includes: Miss Favour Okafor, Miss Ummaira Usman and Jeremiah Panshak Kassem. Comrade Shuaibu Aliyu chairing the Session. 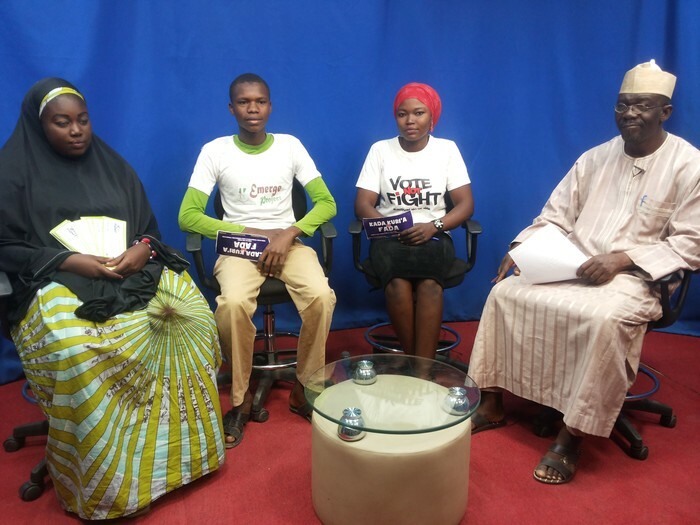 Firstly, the Network engaged the general public on 31st January, 2015 in a 45minutes live radio discussion at RayPower 97.5fm of the African Independent Television (AIT) Bauchi on the subject of “Youth Participation and Violence Free Election”. 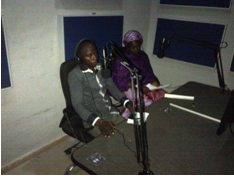 The bilingual radio show featured as special guest, Mr. Hassan Gambo and Miss Hafsat Tukur of YLN and Com. Idris Wada a media spokesman of the All Progressive Congress party. The media spokesman of the Peoples Democratic Party was without absent without permission. While the Network’s guests addressed the aspect of Youth participation and their role in ensuring violence free election. The guests representing the two largest and severely contending political parties dealt with the role of the parties in guaranteeing a peaceful election as well as the provisions in the party manifesto that contain Youth inclusiveness in the governance process. RayPower remains the most listened radio station in Bauchi. It also as broad coverage across Gombe, Adamawa, Plateau, Nassarawa, Yobe, Kano and Jigawa States. This means, millions of radio listeners were reached. Furthermore, the Network featured in a 25 minutes television programme of the African Independent Television on Thursday, 5th January, 2015 in her esteemed programme tagged “Public Square”. Here, Mr. Muazu, Kusompwa Elke Gayus and Hafsat discussed in a deeper realm the activities of the Network in relation to Youth participation and the Vote Not Fight/Violence Free Election Campaign. 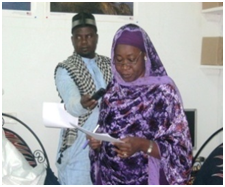 The programme host in English language only must have being watched by many Nigerians residing in some parts of Bauchi including Yelwa, GRA, Turum, Kobi, Federal Locust as well as some part of the neighbouring states such as Jigawa, Kano and Yobe State where AIT network covers. 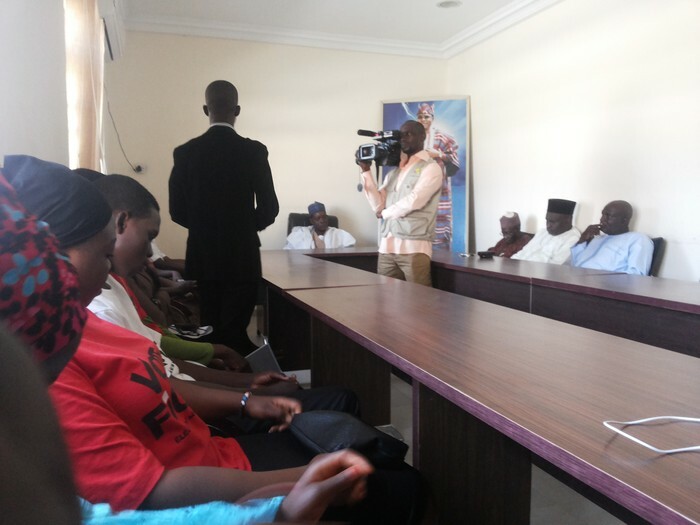 The Network having enjoyed cordial partnership with Bauchi State Television Authority who has accord her of numerous free television broadcast deemed it fit to pay a courtesy visit to the leadership of the agency. 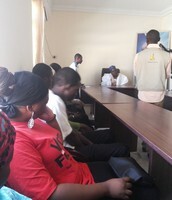 The visit held on Tuesday, 3rd of January, 2015 was aimed at firstly appreciate the leadership of the organization for the cordial partnership the Network has enjoyed over time, secondly re-establish and broaden the partnership terms, next, advocate for the media support in the Violence Free Election/Vote Not Fight Campaign and lastly explore further partnership opportunities in the state. To further reach more people in the state. These aims no doubt were achieved by the team of Network members lead by Mr. Seun Justin Onarinde (YLN Programme Supervisor). 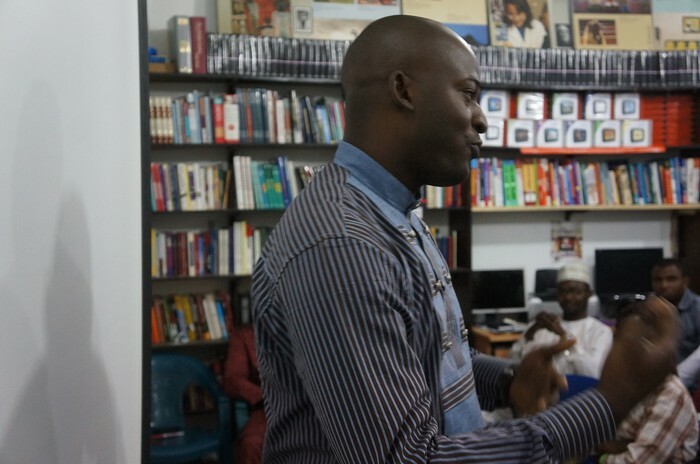 The Network was warmly received by the Managing Director of the Organization (Mr. Ibrahim Idris) accompanied by the Director of Programmes. Mr. Samuel Gin, Director of News, Mr. Usman Tahir and their Legal Officer/Acting Secretary, Mr. Boniface Kefas. 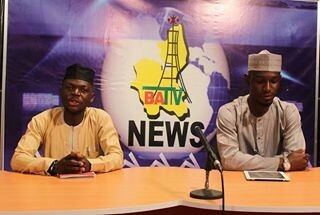 The Leadership of BATV offered the Network a free 30minute slot weekly to the time of election (that was 29th March, 2015) to broadcast youth programmes especially that relevant to the forthcoming general elections. The Managing Director also projected the possibility of continuous broadcast after the election assuming he remains in office. They also encouraged the Network to keep up with the wonderful task of youth development and empowerment in the State re-stating that they are ever ready to partner to supplement such efforts. The detail account of the visit was reported in BATV’s Network news at 7pm of same day to millions of Nigerians who tuned in across Bauchi State and Neighbouring Gombe, Adamawa, Yobe, Kano, some part of Jigawa and Plateau States. The Directors of BATV checking the Vote Not Fight T-shirts they were given by the Team. 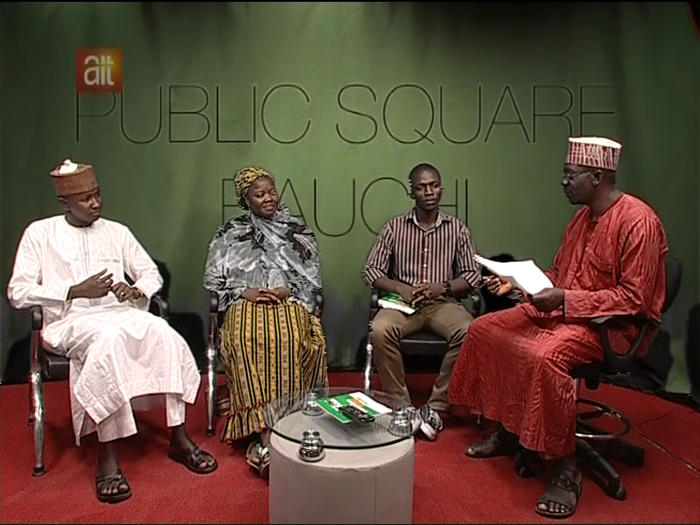 As a follow up to the free broadcasting slot achieved in the earlier visit of the Network to Bauchi State Television Authority, the Network host a special television talk show featuring Miss Deborah John, Mr. Daniel Ayuba, Mr. Hassan Dutse, Mr. Jeremiah Panshak and Mr. Suleiman Yashi on 5th January, 2015. They discuss in detail the meaning of democracy narrowing it to the concept of electioneering and what it means to have a free and fair election. The programme in deed was educative and interactive among the panelists. ü These activities indicates that Young Leaders Network has stepped up her social participation where young people are motivated to improve their local area; volunteering, visitations and participating in positive activities that spell leadership and initiative for good governance in groups of social media through peer motivation. This little involvement no doubt is a big contribution to world peace. ü YLN has continued to champion the networking with other youth focused organization towards synergizing effort for the realization of inclusive governance, quality democracy and social development in the state. ü For the development of a society, inclusion of indigenous stakeholders is essential. YLN succeeded in involving the State Government ministries. This was aimed at boosting their effort, strengthening, raise demand for accountability and create realistic partnership with the government in achieving quality democracy in the State. ü An immediate fruit of the partnership was the securing of 30 minutes/week air space for television outreaches with the Bauchi State Television Authority (BATV) till completion of Nigeria’s general election. ü YLN was therefore able to build the capacity of 50 young people (aged 16≤32) through the sensitization seminar, reach hundreds of young people (age 16≤35) directly through the Vote Not Fight sensitization campaign as well as millions more through her radio and Television programme at RayPower 97.5Fm, African Independent Television and BATV. 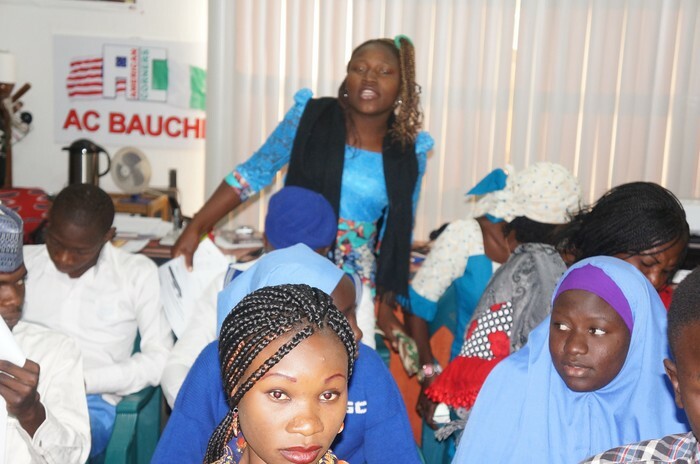 The Young Leaders Network is an arm of the EMERGE PROJECT initiated by the graduates of the stupendous YOUNG LEADERS DEVELOPMENT PROJECT (YLDP) in Bauchi State. 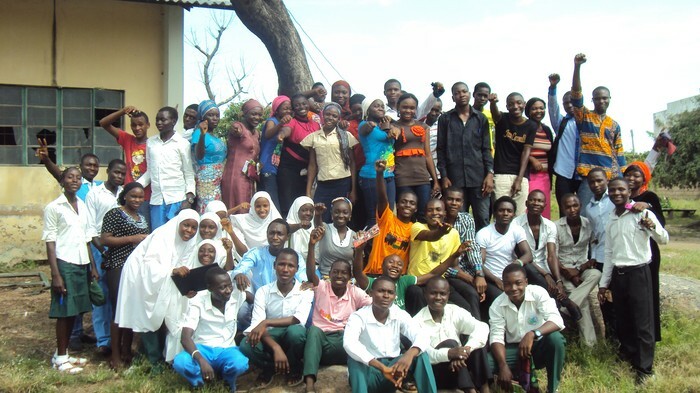 The Network comprising of over 1000 youths in North-Eastern Nigeria, has worked for the past four (4) years to sustain improved behavior pattern and skills established among these young people during the one year intensive YLDP training module thus creating engagement platforms for them to participate in community governance, sensitization with the use IEC materials, media tools and socio cultural activities. YLN overall goal is to empower the youth for a consolidated democracy and cultural assimilation in Northern Nigeria, and specific objective to sustain improved behavior pattern and skills set on democracy, leadership and human rights among students in Bauchi state. The Network of young leaders is from time to time engaged in expository learning visits and workshops to other schools and even establishing media partnerships for outreach programming. 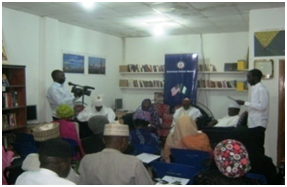 The network is currently managed by the YMCA Bauchi with support from the National Endowment for Democracy (NED) USA.